Did you ever have a billion dollar project that you needed to complete at a certain time? How would you motivate your creative team to finish by the deadline? Imagine trying to motivate a massive design and construction team to finish one of the largest construction projects in the world. You’d read all the books about management and hold meeting after meeting, right? Can we do it? 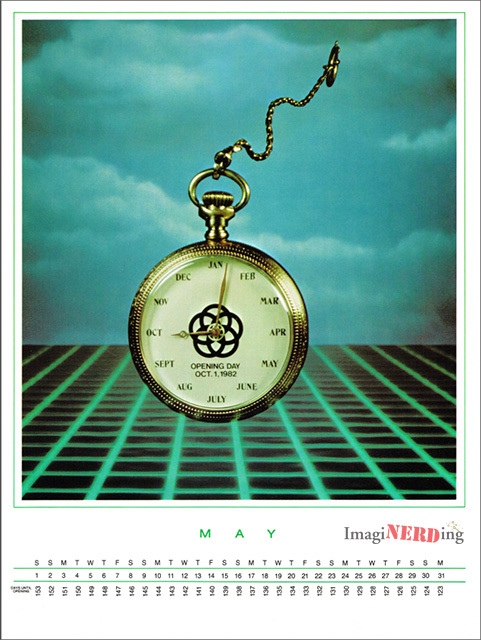 Well, how about a 10 month calendar that counts down the days until the deadline? 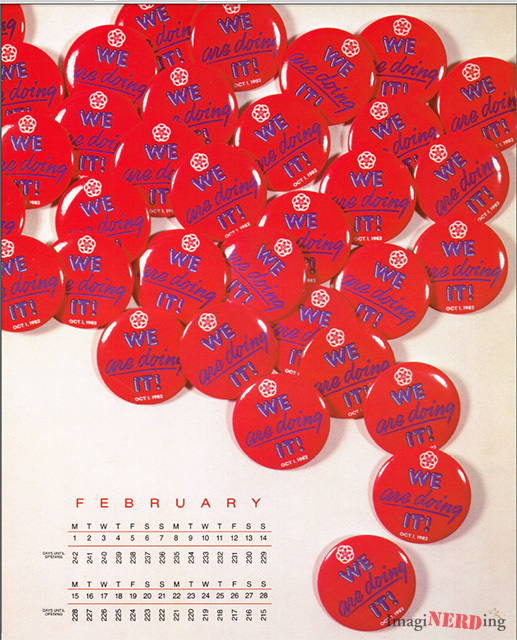 This was a WED EPCOT Center Countdown Calendar that started on January 1, 1983 and ended October 31, 1983. January 1 was 273 days until October 1. What’s more motivational than buttons? Especially buttons you can snicker at more than 30 years later. 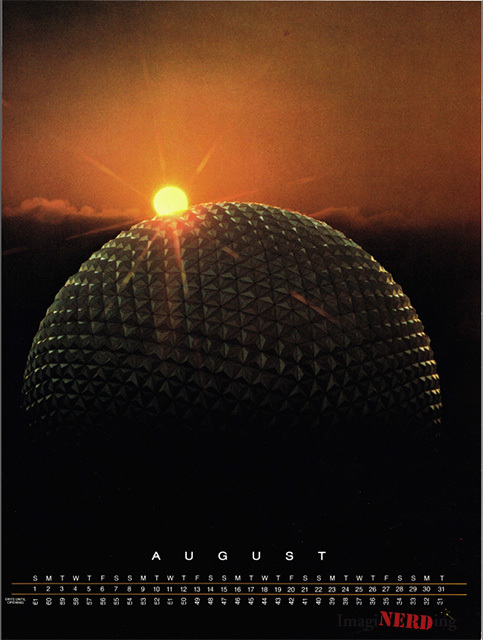 A great reflection of Spaceship Earth from the Universe of Energy. We are doing it! This is a great image of some EPCOT Center buildings under construction. Can you imagine if they had built a better mouse? A very interesting image, don’t you think? I’m surprised that the minute hand wasn’t pointing to May in this one. I guess that the hour hand is on October and the minute hand would be sometime around the beginning of the month. It also has a strange sort of TRON and Dali vibe to it. Hey, look! It’s Equatorial Africa! 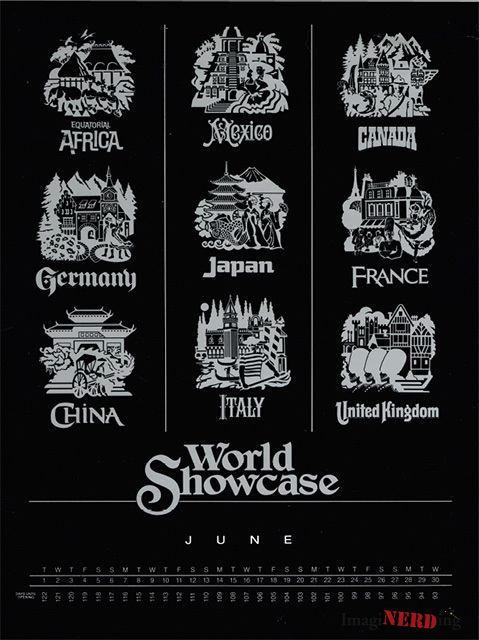 This is one of my favorite months because of the iconic representations of the logos for the World Showcase countries. America. ‘Nuff said. Although I do wonder if anyone took off the Fourth of July during the construction. A fairly iconic shot for August. I love the 16 images presented for the month of September. I have to imagine that Card Walker and Donn Tatum were pretty nervous at this point. Or just yelling at everyone. Knowing Card, though, he probably spent a lot of time on the links! I wonder where all the Imagineers went on vacation after EPCOT Center opened? Sadly, after reading Building a Better Mouse, many of the Imagineers that weren’t involved with the Tokyo Disneyland project were laid off. 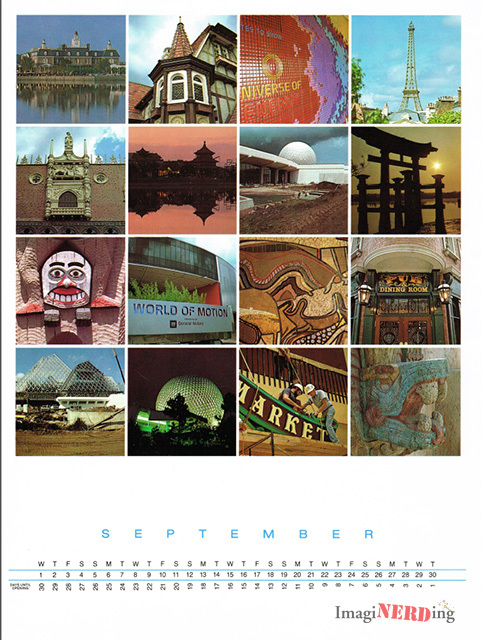 So, now you can print out your own version of this calendar and relive the glory days of trying to open the world’s largest theme park (at the time). Which one is your favorite month? 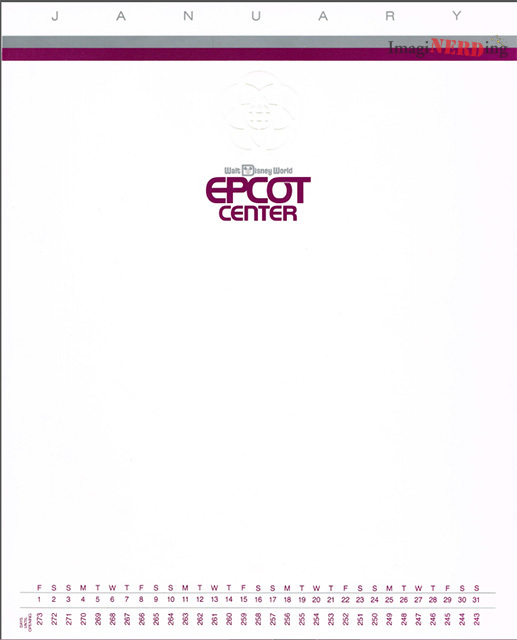 Looking for a great book about EPCOT Center? What about two books? 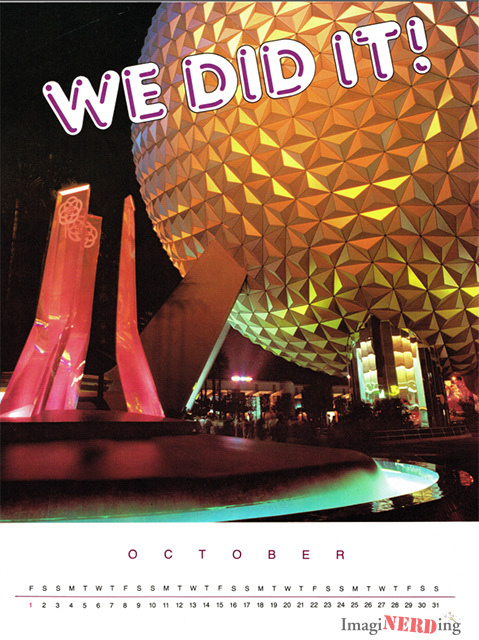 Steve Alcorn and David Green wrote an amazing book about their time creating the American Adventure at EPCOT Center. 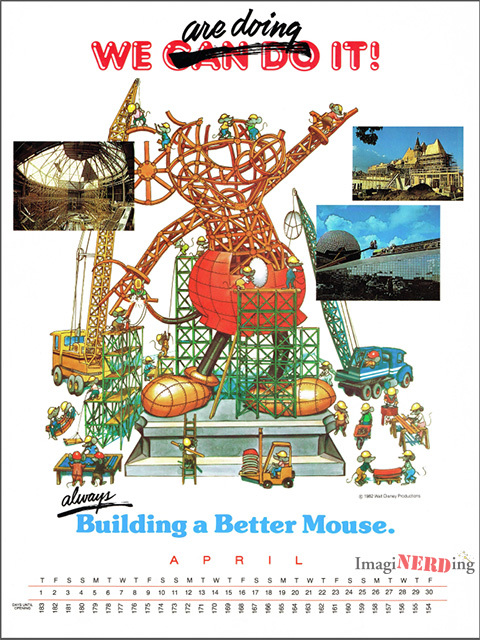 Building a Better Mouse is a wonderful look at what it was like to work and live at EPCOT Center during its construction. Check out my review! 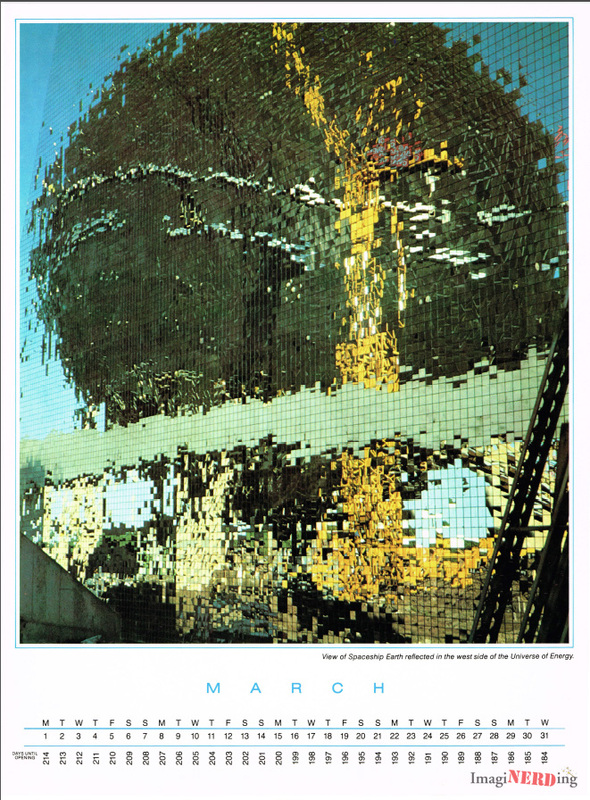 Check out Richard Beard’s seminal book about the venerated theme park. Check out my article about the three different versions of this book! I’ve just provided links to the EPCOT Center books, but there’s no way to guarantee which copy you’ll get without contacting the seller, directly. Thanks for the mention of Building a Better Mouse! There’s an interesting footnote to that April calendar, the source of our book title. 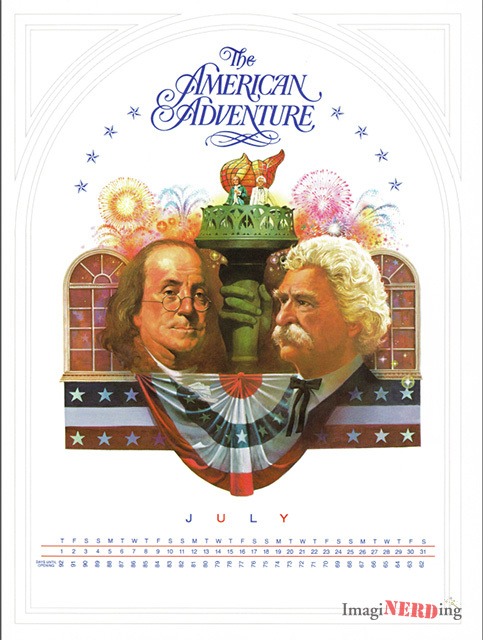 About ten years ago I was contacted by the son of the artist to inquire if I knew anything about how Disney ended up using that artwork on their calendar. Apparently it wasn’t authorized by the artist, who was not a Disney employee. I had always assumed it was internally produced, but apparently not. Still have that Building poster up on the wall. Added a couple of room signs from the first Apple Store (Electrical Room and Break Room) that weren’t used.